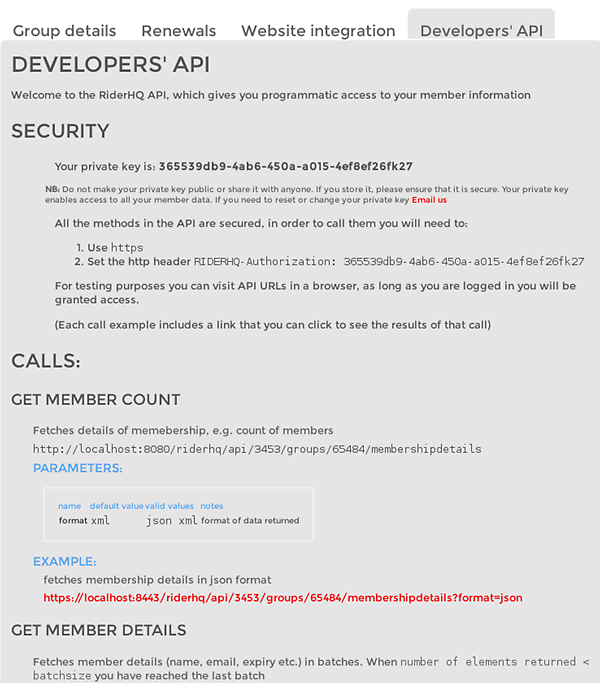 You can access your membership data via our API - this is useful if you want complete flexibility over the layout and appearance of your pages, or if you need to link RiderHQ data to your own processing (you will need a friendly programmer available). There's lots you can do, but this page should explain how to access your data directly from our servers. 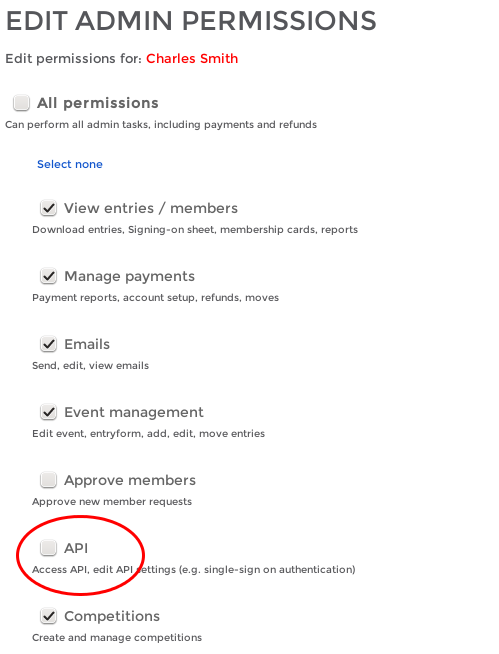 A typical use case is if you want to access membership data directly from our server, for example to format and display it on your own website. Let us know if there are any calls you'd like to see or data you'd like access to via the API.